Alister Barry remains one of that rare breed of New Zealand documentary filmmakers: one whose work has regularly won showings on Kiwi cinema screens. Barry’s documentaries reflect his interest in how decisions made by policy-makers and employers have affected ordinary New Zealanders’ lives. “What my films have in common”, he said in 1996, “is my concern with how power is exercised in a democracy”. Barry grew up in Auckland, the son of devout protestants. His father and grandfather were both opticians. Barry’s university studies were characterised by variety. He found himself especially influenced by readings in anthropology, which argued for the importance played by culture in people’s perceptions and understanding. Afterwards Barry got involved in many of the issues bubbling in the first half of the 70s — including opposing the Vietnam War, nuclear testing, and All Black tours of South Africa. He decided to put his growing interest in documentary filmmaking to service “as a useful contribution to the debates and campaigns” of the times. In 1973 Barry and his camera joined the crew of a protest boat to Mururoa atoll, where the French Government continued to test nuclear weapons. Barry edited the footage into a film in his bedroom, after getting advice from an editor. Mururoa 1973 proved an auspicious beginning, winning a primetime screening on Kiwi television, and sales to Europe (Barry would return to the topic in 1988, producing and researching Nuklia Fri Pasifik, which examined the role played by the South Pacific in the nuclear arms race. The early 80s proved a busy time for Barry and the Vanguard team. A Century of Struggle looked at the history of the New Zealand Seamen’s Union, and included footage of the 1951 waterfront strike. Meanwhile the doco Wildcat, also directed by the Vanguard trio, backgrounded a 1977 strike by the NZ Timberworkers’ Union, and battles within the union. In 1982 Barry was credited as researcher on a TV project he had worked on for many years: the three-part Vietnam — The New Zealand Story. The project marked the first time that Barry worked with longtime collaborator Ian Johnstone. Over the next decade Barry continued to work in film, including providing footage for Merata Mita’s Patu! The filmmaking process would be repeated on his next two projects — an extended period of research, funded by a Screen Innovation Grant from the Arts Council; then raiding a range of archives for material, and conducting on-camera interviews. The main networks refused to screen Someone Else’s Country (though the doco did play on music channel Max TV.) One reason given was that John Carlaw’s Revolution: The Great Divide covered similar ground. But the film won good audiences at the 1996 round of film festivals, and sold many copies on videotape. In a Land of Plenty proved there was. The topic this time was unemployment. 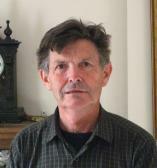 Barry’s research led him to conclude that new theories by politicians and policy-makers best explained the recent rise in New Zealand unemployment. In a Land of Plenty attracted large audiences in the 2002 round of film festivals, and sold roughly 1500 copies on video. The film later screened on TV One and on Maori Television. Barry’s A Civilised Society (2007) takes another angle on the changes resulting from Rogernomics. Civilised Society examines some of the effects of New Right thinking on public education. In 2008 Barry unveiled arguably his most high profile documentary to date. While researching the techniques used by the National Party during the 2005 election campaign, he discovered author Nicky Hager was working on similar material, for his book The Hollow Men. The Hollow Men‘s film festival success spurred further screenings across New Zealand. Reviewing the film in The Dominion Post, Graeme Tuckett called it “a diligent and unimpeachable re-examination” of the events exposed by Hager’s book. Barry’s documentary work has seen him working often with other filmmakers — including Shane Loader, Andrea Bosshard and Gerd Pohlman — and in turn helping them on their own projects. Over the years Barry has also provided camerawork for a number of poetry-inspired films directed by Richard Turner, including Māori poetry piece Te Tutakinga o Nga Awa e Rua.